Modern smartphones are much more than mere communication tools. They can help us organize all facets of our lives, including our finances. These are just some of the ways your smartphone makes a great money manager. Most large banks have free apps that let you monitor and manage your accounts directly from your phone. Use these apps to pay your bills, transfer money between your accounts, and check your balance while you’re on the move. They’re a great way to make sure you don’t overdraw your account or miss a payment. Sending and receiving money has never been simpler thanks to clever finance transfer apps like PayPal and Cash App. These free apps let you send and receive money from friends or professional contacts. Unlike bank apps, you don’t even need to know your payee’s account details to make a transaction. Instead, these apps identify members with their email addresses, a measure that helps maintain privacy. They also have fraud protection measures, so if that internet auction bargain turns out to be a scam, you’re not left out of pocket. These apps work best on modern smartphones connected to reliable networks with widespread coverage, like the Samsung Galaxy Note 8 connected to T-Mobile. We’ve all experienced the embarrassment of leaving our wallets at home or being caught without the cash we need to buy our essentials. Modern smartphones put an end to red faces; simply tap your phone to the in-store payment machine to make a purchase using Android Pay or Apple Pay. The payment machines read the NFC chips built into the latest phone models, just as they read credit cards during contactless payments. Android Pay is also compatible with many major loyalty programs, so it helps you save some money when you spend. Proper money management isn’t all about spending though. 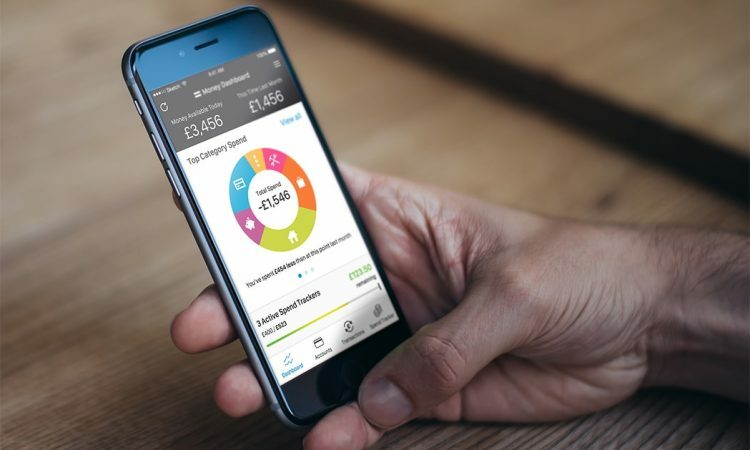 Overhaul your savings habits with digital accounts at online providers aiming to modernize the banking industry by appealing to a new generation of savers. Often these mobile providers have clever features designed to maximize savings. For example, GoBank helps you build a budget and set up a “vault” to reach your savings goals faster. Its Fortune Teller feature helps you decide whether you should buy something you love now or wait. A similar feature called Safe-to-Spend is one of the great perks of Simple. This digital bank also makes setting up a savings goal easy. You should reach it sooner, too, as Simple doesn’t charge fees. Need a little extra help to kickstart your savings habit? Then an app like Qapital or Acorns might be for you. Rather than waiting for you to deposit money, Qapital and Acorns make the choices for you in ways that won’t leave you skint. While these accounts automate your savings, you can stay involved by checking your balances via your smartphones at any time. Qapital transfers small amounts from your checking account to a savings account, following the rules you establish. Simply select whether you want to make daily or weekly deposits and how much you want to save each time, then let the app do the rest. Or why not get creative? Qapital also connects to other online accounts, like your fitness tracker and credit card, allowing you to trigger saving deposits whenever you hit health milestones or pay down debt. Acorns is for smartphone users who’ve always intended to invest but have never gotten around to it. Best of all, you don’t need to understand stocks or shares to get started. Set up your account and link it to your credit cards, debit cards, and checking accounts. Whenever you make a transaction, the app will automatically round up the purchase price to the nearest dollar, then deposit the change into a diversified portfolio. You won’t miss the cents, but they’ll soon start adding up and generating serious wealth. With the right apps on a modern smartphone, there’s no excuse for financial failures. With the latest smartphone in your pocket, money management has never been simpler.